The £8.5m project has benefitted from £635,000 from the Sheffield City Region Local Growth Funding (LGF) and once complete will create more than 100 jobs and bring more than £530,000 of new business rates into the borough. 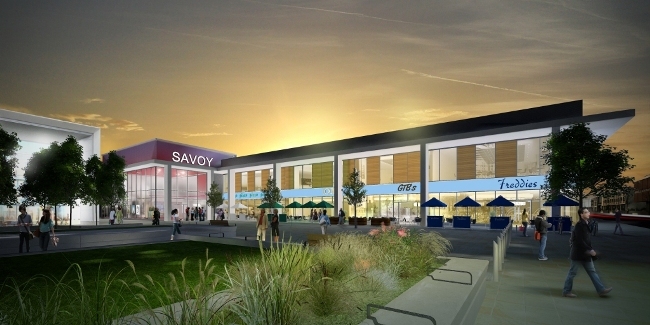 Coun Bill Mordue, cabinet member for Business, Skills and Economic Development, said: “I am delighted to finally see work starting on the cinema and restaurant development which will further enhance this location, giving a wider choice of leisure activities and places to eat and bringing more visitors to Doncaster Town Centre. Managing director of Lindum Construction, Simon Gregory, said: “This project signals the start of a new relationship between Lindum and Doncaster Council – one that has begun very well and will hopefully continue to get stronger as the teams work together.